People who spend a lot of time in the kitchen know that there’s nothing like having a clean and organized space. Unfortunately, though, kitchen organization isn’t always easy to achieve. Between preparing daily meals and having to constantly clean up, it can be easy for your kitchen to get a little messy from time to time. The good news is there are lots of different items that can help keep your kitchen in order. 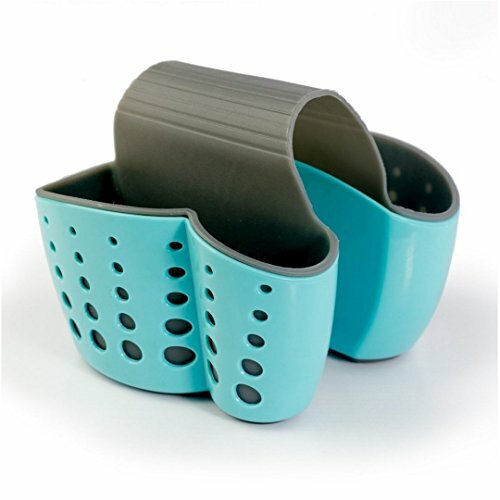 With accessories like these in your kitchen, you’ll never have to worry about your space feeling cluttered again. Here are 10 awesome items to improve your kitchen organization. 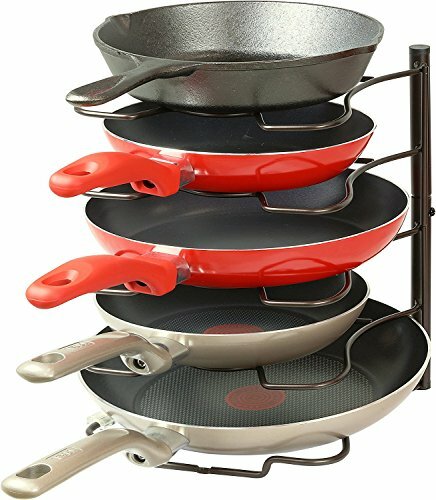 Unorganized pots and pans can cause a lot of clutter in your kitchen. Thanks to these designated rack, that won’t be a problem anymore. Your cabinets just got a lot more organized thanks to these pull out shelves that can be used to store some of your kitchen necessities. Mops and brooms are essentials for keeping your kitchen clean. However, they can also easily get in the way. 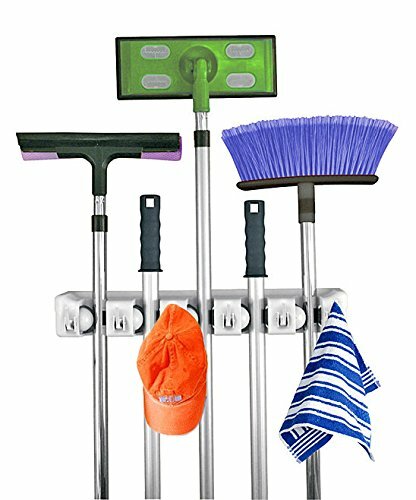 This mop and broom holder gives these items a designated place to be when not in use. 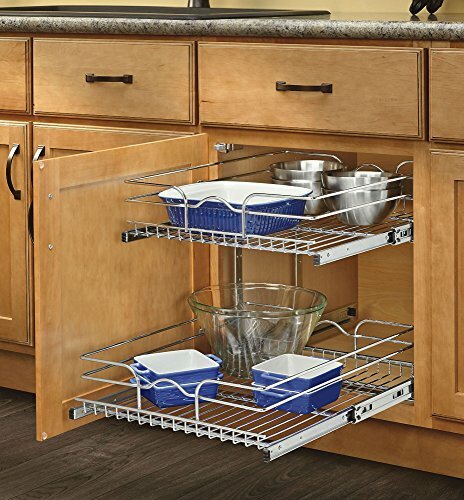 Get the most out of your cabinets with this over the door organizer that can help create some additional storage space. When it comes to kitchen organization, keeping your fridge neat and clean is probably at the top of your priority list. 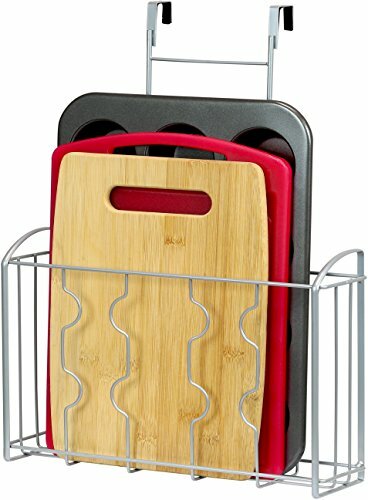 This refrigerator/freezer organizer allows you to neatly and safely organize your favorite fruits and vegetables. If you’re like most people, you probably have at least one drawer in your kitchen that has been designated as ‘the junk drawer’. 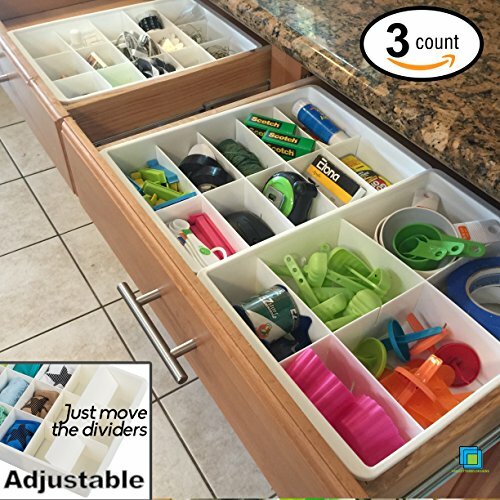 However, even your junk drawer deserves a little order and these adjustable drawer dividers can help you achieve just that. Having easy access to all of your favorite seasonings is a must when cooking. 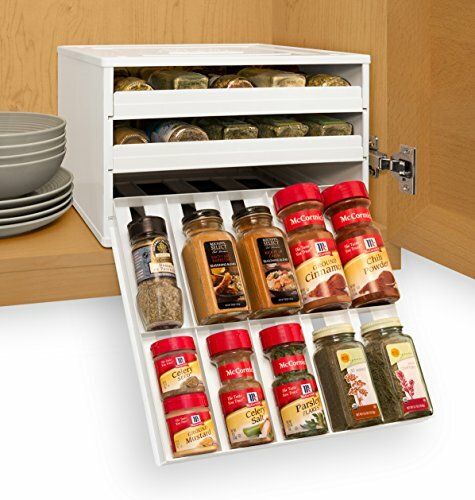 This spice rack will put your ingredients right where you need them. 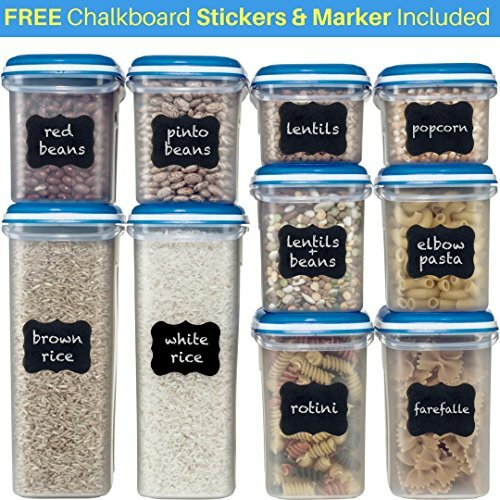 Food storage containers are excellent for improving your kitchen organization. These items are also air tight to ensure that your food will last longer. In many homes, the kitchen is often the central meeting point that brings everything together. 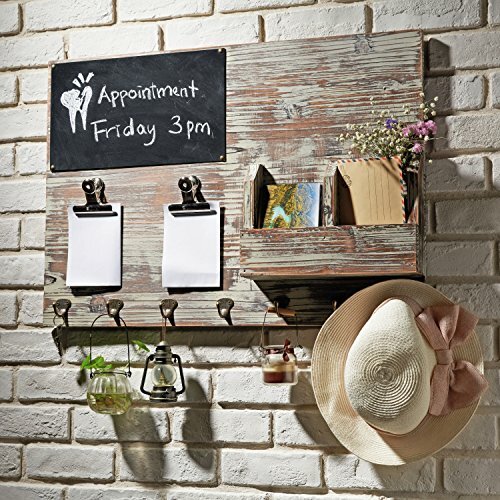 For that reason, this wall mounted chalkboard can be the perfect addition to your kitchen. It can be used as a place to leave notes for family members or post recipes. 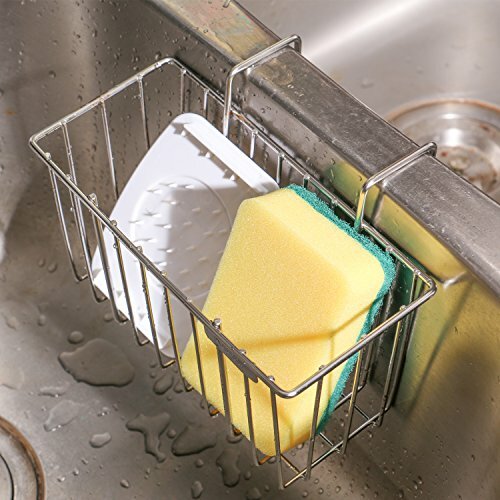 This plastic storage basket was designed to help keep your sink area in order.